I could probably see the funny side of this - if I wasn’t feeling as tense as Donald Trump on a windy day. Even his T-shirt has a joke on it. Give Blood. Play Rugby. I’m feeling more than a bit conflicted with this installment. The character of Jaz was the annoyingly weak and waffly type of woman who I impatiently want to give a kick in the posterior region so as to provide them assistance in loosening their misplaced cranium. However, the premise was entertaining and the writing was comfortable and easy to follow, and I enjoyed the sweet elements of the village, catching up with previously introduced characters, and the brisk pace of several of the storylines as well as the welcome hits of levity. Yet I struggled to appreciate the lead character, which is a rather crucial factor in my reading enjoyment. Rosie’s brand new series of novellas is centered on life in a village café. 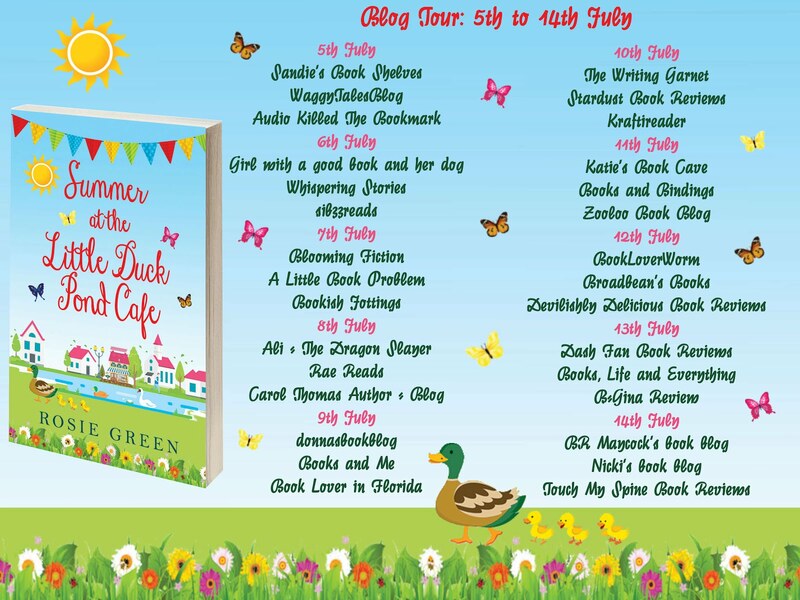 Summer at The Little Duck Pond Café, published on 18th June 2018, follows the first in the series, Spring at The Little Duck Pond Café.